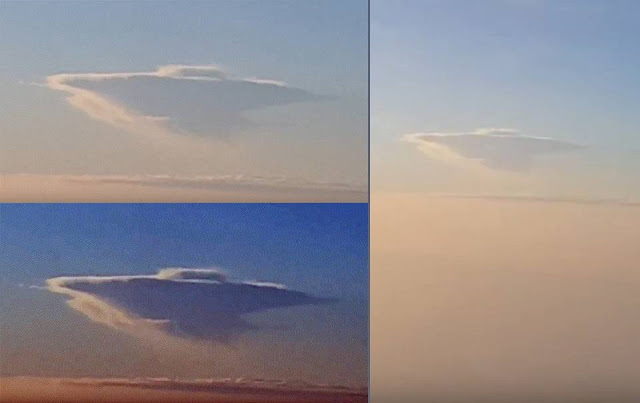 A passenger has filmed a strange object in a clear sky during his flight at high altitude over the State of Gujrat, India on September 24, 2018. The video shows the cloaked UFO and images of the people inside the plane before the camera turns back to the cloaked UFO. The object hovers above the actually layer of clouds. Given the distance from the UFO to the plane, the object must be huge.